Documentary Film Festival on Human Rights Watch Docs goes to Minsk cinemas. Good Neighbor master class tells how to make a playground. MAKEOUT announce a contest for anti-discrimination stickers. Human rights community delivers its award. Blakit online project visualises data on public procurement. SYMPA invites to masterclasses on effective local governance by a Polish mayor in Brest and Minsk. Journalistic conference in Minsk: pressure on freelance journalists in Belarus is unprecedented. The first KEF School of Economics is open for students of regional universities. Onliner and Talaka announce a competition for projects to make life in Belarus better. Teplitsa School of Urban Initiatives opens enrollment for its third season in Mahilioŭ. PraRovar Forum takes place in Minsk to discuss cycling development in Belarus. Documentary Film Festival on Human Rights Watch Docs Belarus will be held in Minsk, on 14-17 December. The festival is held in Belarus for the third time, and for the first time, it comes to one of the Minsk central cinemas. The festival is initiated by Zviano CSO and gathers support via crowdfunding. The festival aims to draw attention to the most actual events and create a space for discussion. Admission is free. National Human Rights Award 2017. On 8 December, in Minsk, the 9th National Award of the Belarusian human rights defenders was delivered in three nominations. 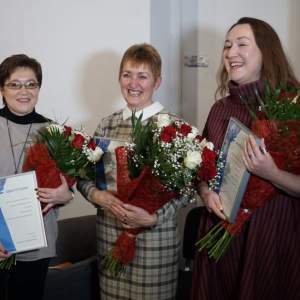 Human rights defender of the year became the head of the Belarusian Documentation Centre Raisa Michajloŭskaja, Journalist of the year – journalist Radio Liberty Halina Abakunčyk, and Campaign of the year – campaign to assist to repressed By_Help. Contest of anti-discrimination stickers is announced by MAKEOUT project. The contest raises the topic of gender-neutral toilets and experience of gender-non-binary and transgender people. The best stickers will be printed and available to stick in the cultural spaces of cities, like toilet doors with traditional “Male” and “Female” to make visible Other experience. Presentation of the report on information security of Belarus. On 14 December, in Press Club, Research Centre EAST will present the results of the study Information Security in Belarus: How Serious the Issue And What To Do? 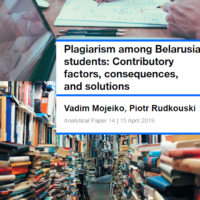 The researchers analysed the Belarusian media landscape to assess the availability of disinformation sources, calculated vulnerability and resistance indices related to foreign information attacks, and prepared recommendations. 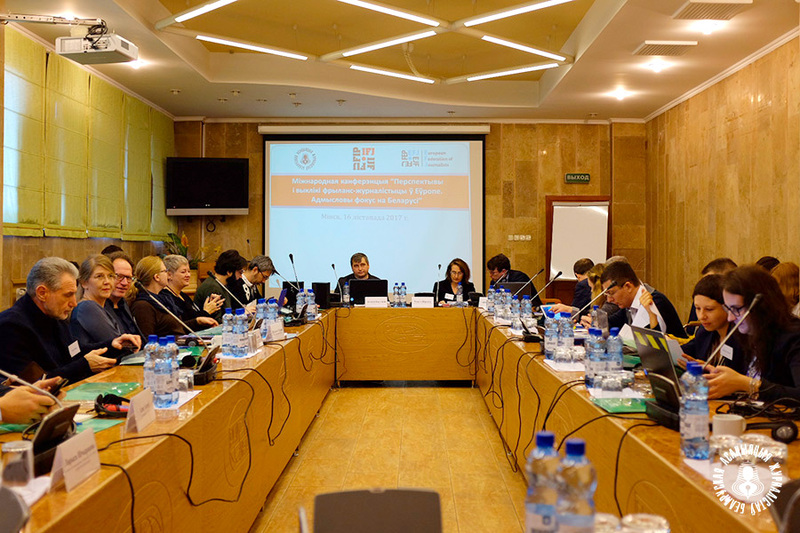 Prospects and Challenges for Freelance Journalism in Europe Conference took place in Minsk. The conference organised by Belarusian Association of Journalists (BAJ) and International Federation of Journalists (IFJ) highlighted that the pressure on freelance journalists in Belarus is unprecedented. Thus, in 2017, freelance journalists in Belarus suffered interference from the authorities over 180 times. The conference adopted a Resolution. Blakit visualises data on public procurement. The new online platform will allow journalists and stakeholders to analyse what state companies are buying and to inform representatives of civil society about suspicious transactions. Thus, the project will help accelerate the reform of public procurement in Belarus. The Blakit project team plans to release the project by the end of 2017. Women and Elections gender conference was held in Minsk. The event presented a study on the participation of women in democratic politics in Belarus. 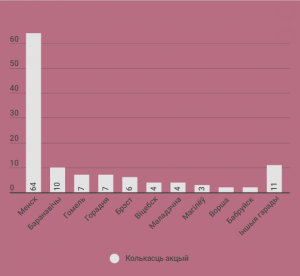 The 12 parties and political organisations participated in the poll and noted that the activity of Belarusian women increased in three circumstances: due to the economic crisis, the shock after the events of 2010 and the spring protests of 2017. How to make an effective local government. On 2 and 3 December, the SYMPA Research Centre for Public Management and Budźma! campaign invite to master classes on effective local self-government with Krzysztof Zacharzewski, a philosopher, civic activist, and the current mayor of Złocieniec town in Poland. The speaker will talk about the citizens’ participation in decision-making processes, tools to improve the transparency of government etc. Study: Self-regulation of Business in Belarus. On 29 November, the Liberal Club invites to the presentation of its fresh study on the prospects of business self-regulation on the example of advertising activities. The presentation and the subsequent discussion will raise a point whether business, the state, and consumers are actually ready for self-regulation. Good Neighbor: how to make a playground and find resources for it. On 18 December, in Minsk, the Office for European Expertise and Communications invites to a master class, where activists will share their experience on establishing playgrounds in their yards, as well as architects and engineers will present new creative ideas. Teplitsa School of Urban Initiatives invites for the third season. The Teplitsa/Greenhouse School in Mahilioŭ includes a series of meetings and lectures that will help the participants to become more proactive and active in improving life in the city. Based on the results of the training, students develop and implement urban projects. The School is traditionally organised by the Mahilioŭ-based Urban Initiatives Centre. PraRovar Forum takes place on 24-26 November, in Minsk. PraRovar/ Pro-Bike Forum is dedicated to the development of cycling at the city and national levels and aims to acquaint Belarusian cyclist activists from different cities and synchronise their activities for the development of urban cycling in Belarus. The event is held within the framework of the EU-supported project Urban Cycling in Belarus. Rating of Belarus’ protest cities for the recent two years is composed by Sxod.by site. Minsk heads the list – in 2016-2017, Belarus observed 124 street protests and 64 of them run in the Belarusian capital. The 2nd place is taken by Baranavičy city, Brest region, with 10 protest actions. #Paskarenne national interactive competition of projects is launched by Onliner.by together with Talaka.by non-profit platform. #Paskarenne/ #Acceleration competition aims to support any Belarusian projects – from social and urban to entrepreneurial and technological. The prize fund is $2K. The projects’ development will be covered in the format of a reality show. The winner will be announced in February 2018. School of Economics KEF 2018. The first round of the KEF School of Economics is open for students of regional universities. The School aims to improve the knowledge of students on economics and create regional communities of students interested in economics. The school is organised by the Centre for Economic Research BEROC and the IPM Research Centre. The deadline is 5 January 2018. Overview of CSOs dealing with children and young people with disabilities is presented in an analytical report of the ENCON project – Enhancing CSOs Contribution to Evidence-Based Policy Making for Vulnerable Groups. The project is implemented by CASE Belarus in concert with the ACT NGO and international partners. Minsk approves the current pragmatic approach of the EU towards the Eastern Partnership. Belarusian President Alexander Lukashenka is the top rated Commonwealth of Independent States (CIS) leader among Russians. The authorities expect new faces in politics after 2018 local election. The cost of Russian gas for Belarus will decrease in 2018. Chinese Midea Group is expanding its business in Belarus. Belarusians are increasingly looking for jobs abroad. This and more in the new Belarus state press digest. The EU does not fully understand the ultimate goal of the Eastern Partnership. The EU, exhausted by internal difficulties, cannot bear the burden of geopolitical confrontation with Moscow, argues political scientist Usievalad Šymaŭ in an article published in Respublika, a Minsk based newspaper. Judging by the results of the Eastern Partnership summit, pragmatists in Europe now clearly dominate over hawks. The final declaration of the summit focused exclusively on a positive agenda and tried to bypass all dispute and moments of conflict, especially those related to the war in Ukraine. This is a good sign for Belarus. It is precisely this format of cooperation that Minsk traditionally advocates, diligently avoiding ideology, which relations with the EU always entail. However, today’s pragmatic EU is a product not so much of goodwill as of internal weakness. European eastern policy may still undergo significant changes, which Belarus should remain prepared for. Alexander Lukashenka heads the rating of CIS leaders among Russia’s population. The Presidents of Belarus and Kazakhstan, Aliaksandr Lukashenka and Nursultan Nazarbayev, appeared highest on Russia’s rating of trust in leaders among CIS member states (Armenia, Belarus, Kazakhstan, Kyrgyzstan, Moldova, Russia, Tajikistan, Turkmenistan, Ukraine, and Uzbekistan). According to the poll conducted by the All-Russian Centre for the Study of Public Opinion, 62 per cent of Russians trust Aliaksandr Lukashenka, and 56 per cent trust Nursultan Nazarbayev, reports Belarus Segodnia, a daily newspaper. In addition, Russians recognise Belarus (64 per cent) and Kazakhstan (57 per cent) as their country’s main partners. Appraisals of the protection of Russian-speaking populations have also risen significantly. 66 per cent of Russians think that Russian-speakers enjoy full rights in Belarus (27 per cent in 2010), and 38 per cent thinks so of Kazakhstan (18 per cent in 2013). The authorities expect new faces in politics after the 2018 local elections. Daily Belarusian newspaper Zviazda quoted the chairman of the Belarusian Central Election Commission, Lidzija Jarmošyna, who spoke on 6 December in Viciebsk at a training session for managers and organisers for the upcoming local councils elections. Commenting on the applications, which are just now being sent in to the Central Election Commission, Lidzija Jarmošyna noted that they mostly concern the nomination of candidates for deputies. The candidates are inquiring about certain regulations, such as the declaration of property, use of election funds, and advertising rules. “All of this suggests that many individual candidates will participate in the election, because those from existing parties already have experience in such matters. We will have unexpected figures and new politicians,” said Jarmošyna. The cost of Russian gas for Belarus will decrease in 2018. The price of Russian gas for Belarus in 2018 will drop from $143 to $129 per 1000 cubic metres, and to $127 in 2019. The lower price will make Belarusian enterprises more competitive, writes Belarus Segodnia. According to Energy Ministry estimates, the economic effect of the price reduction will reach $700m. By the end of the year, Belarus and Russia hope to define an approach to the formation of a common gas market in the Eurasian Economic Union by 2025. The sides still disagree on tariffs for the transportation of gas through member state territory. Today, Russia’s Gazprom has exclusive rights to supply gas to Belarus. However, after the creation of the common gas market, the consumers will be able to purchase it from various producers in Russia and Kazakhstan through the stock exchange or by signing long-term contracts. Midea Group came to Belarus a decade ago. It began production of microwave ovens and water heaters jointly with Horizont Holding, a Belarusian conglomerate. Fang Hongbo expressed his satisfaction with the results Midea Group’s partnership in Belarus over the period. He also spoke about the intention to use Belarus as a starting site for expansion to CIS markets. Midea Group plans to develop its existing production and to introduce new items, including refrigerators and washing machines. More Belarusians are looking for jobs abroad. According to the Head of the Presidential Administration Natallia Kačanava, 97,600 Belarusians are currently working abroad, reports Narodnaja Hazieta, a Belarusian politics and society newspaper. Meanwhile, the Russian Interior Ministry’s Main Directorate for Migration published a report, which claims 346,000 Belarusians registered as migrants in Russia just in the past year. Moreover, some Belarusian migrants work in Russia illegally without registering. However, because of Russia’s recession, more and more Belarusian labour migrants choose to work in Poland. In 2015, Polish employers registered some 5,500 work invitations for Belarusians under Poland’s simplified employment scheme. In 2016, this figure rose to about 25,000, and then went even higher in the first half of 2017. A study carried out by the the Institute of Sociology at the National Academy of Sciences shows that at present more than 8–10 per cent of Belarusian citizens are looking for work abroad. The government has formulated preferential conditions for Geely car sales. 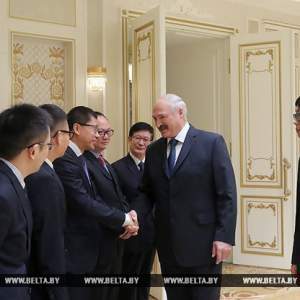 The President has told administrators to increase the warranty period of the Belarusian-Chinese Geely car from 4 to 5 years and offer preferential conditions to buyers, writes Respublica. Belarusians will have the opportunity to make the first payment at 10 per cent a vehicle’s total cost, and then to either lease or finance it over 7 years. The sale of Geely vehicles under these new conditions begin this December. The cost of Geely’s three new car models vary in the range of $17,000–$25,000. The government expects to sell at least 25,000 cars in the coming year, increasing this number by 10,000 annually. However, in the market for crossover vehicles—where Belarusian Geelys are located—competition remains very high. The entire domestic crossover market does not exceed 6,000 cars a year.